Dubai: Airbus says Emirates, Etihad Airways and Qatar Airways are likely to be some of the next customers lining up to buy its new A350-900 ultra-long range jet. The European plane maker announced the ultra-long range model in October 2015 with Singapore Airlines converting 7 of its existing order for 63 A350-900s to the longer flying aircraft. Singapore Airlines plans to restart the world’s longest route from the city state to New York in 2018 when it receives the new aircraft. But Airbus says the aircraft, which will be capable of flying up to 19 hours, is right for the Gulf carriers whose strategy of connecting long-haul passengers from east to west through their hubs in the UAE and Qatar has made them some of the world’s biggest. 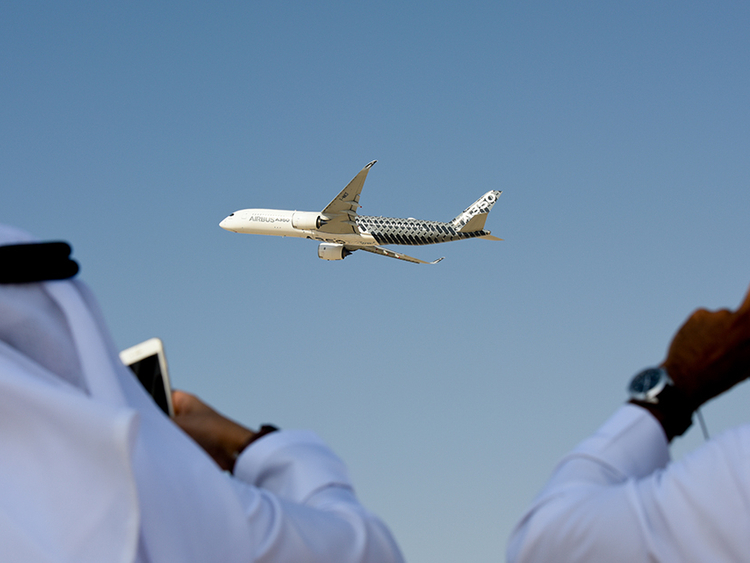 “There will be a lot of appetite for that aircraft,” John Leahy, Airbus’ Chief Operating Officer for customer sales, told reporters at the Dubai Airshow on Tuesday. Emirates is already planning to start the world’s longest flight next February from Dubai to Panama City but this will be beaten by Singapore Airlines when it launches New York in 2018. The current longest flight is operated by a Qantas A380 from Sydney to Dallas. Leahy declined to say how many ultra-long range sales could end up in the Gulf apart from “right now, we’re talking to several customers” and that Airbus “will be booking more orders very soon” for the A350-900 and its stretched version the A350-1000. Emirates is currently considering an order of up to 100 A350-900s or Boeing 787-10s but has said it won’t make a decision until sometime next year. On Tuesday, Airbus booked an order for 30 A321s with Vietnamese low cost airline Vietjet the Dubai Airshow, the first major new commercial aircraft order at the show so far.